John W. MacDonald's Weblog: Go Sens Go! 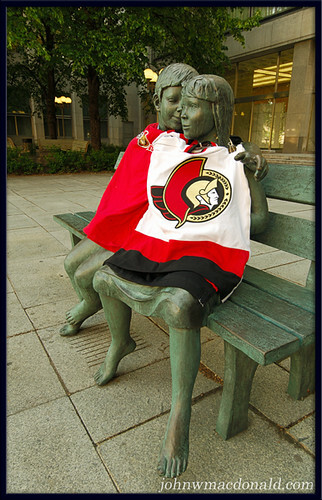 Go Sens Go!, originally uploaded by johnwmacdonald. I took this pic outside the Library and Archives Canada building on Wellington last evening, 29 May 2007. It's everywhere. Even a window washer busons chair has a sens flag on it.